LinkedIn has today announced the launch of its first stand-alone job search application which has been designed specifically for use on smartphones and tablet devices. 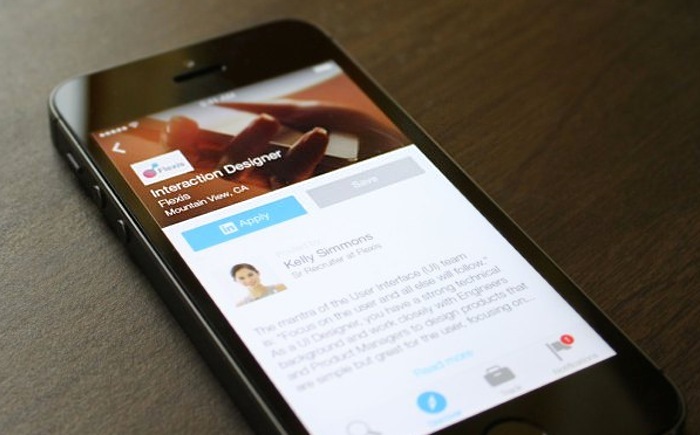 LinkedIn today revealed that 40 percent of its 300 million users now access the site from their mobile devices and to help the user base become more engaged, LinkedIn has today launched the LinkedIn Job Search which is now available for iOS. Within the new LinkedIn Job Search application LinkedIn has taken a different approach to user privacy and rather than tracking which profiles you view on the site. LinkedIn has made their new Job Search application completely private, with any searches you might make remaining private. – A more detailed way to search for, research, and apply for jobs, including customisations based on job title, location, company, industry, and seniority level. – Tapping into LinkedIn’s ongoing search algorithm development, it will also offer tailored job recommendations based on saved searches as well as jobs a person has viewed and that person’s own LinkedIn profile. – More detail on how your own network extends to the prospective company in question, as well as more facts about the company. – And tapping into both the finite and fleeting nature of job availability, a notifications service so that you can keep up with when new jobs are coming up, or those you’ve flagged are closing their application window in case you’ve forgotten. Jump over to the Apples iTunes App Store within the US to download the new LinkedIn Job Search application to help you find your perfect job.